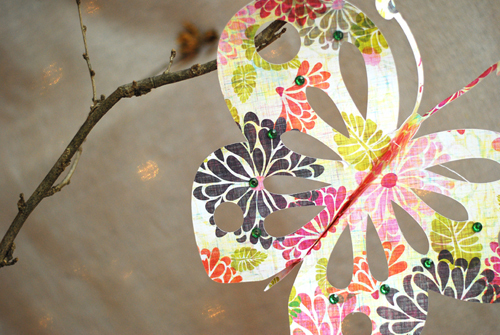 Paper butterflies are very easy to make. Just copy the template onto 12 x 12 scrapbook paper, cut out, fold on folding lines, and decorate with some bling. Hang and enjoy!